KUCHING: Over 2,000 people converged on the Waterfront here for the launch of Kuching North City Commission’s (DBKU) online radio station Radio Kuching Utara (radioKU). It was officiated by Chief Minister Datuk Patinggi Abang Johari Tun Openg in conjunction with the Old Kuching Smart Heritage (OKSHe) event. Prior to the grand affair on Wednesday night, the crowd was entertained by radio personalities Afiq Wazai and Fir Affandi together with the radioKU crew in a rib-tickling “Makcik Bawang” sketch. Speaking to New Sarawak Tribune after the event, radioKU’s DJ Sheema Dean said the station was aimed at being the main communication channel between DBKU and residents in its jurisdiction. “radioKU is one of major channels that will benefit the community, and allows DBKU to respond immediately to enquiries. It also allows the public to share their views and ideas. “At the same time, it boosts the growth of the creative industry and the unearthing of new talents in Sarawak,” she said. Earlier, in his welcoming address, Datuk Bandar Dewan Bandaraya Kuching Utara (DBKU) Datuk Abang Abdul Wahap Abang Julai said Kuchingites could download RadioKu application through its website https://dbku.sarawak.gov.my. He said RadioKu will go on air on starting April 1. “RadioKU will be broadcasting every Monday to Friday from 8am to 5pm,” he said. Commenting on OKSHe, Abdul Wahap said it was a golden opportunity for the state to display the cultural heritage of its multiracial populace to tourist and visitors alike. 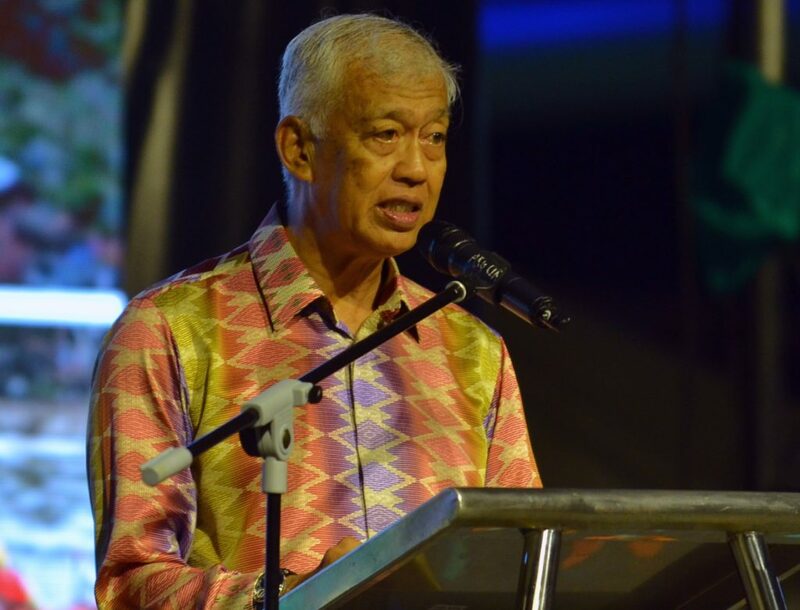 “The hosting of OKSHe at the Kuching Waterfront is also a good attraction for tourists, within the country and abroad, to the state’s capital,” he added. Abdul Wahab said all payments and registration of OSKHe activities were fully utilising the Sarawak Pay application. He said OSKHe was targeting 100,000 visitors throughout the two-week long event from March 25–31. Also present were Housing and Local Government Minister Datuk Dr Sim Kui Hian and state secretary Tan Sri Datuk Amar Mohamad Morshidi Abdul Ghani. Meanwhile, Afiq reckoned the new addition would enhance Sarawak’s creative industry. “Our local entertainment industry needs more channels and platforms in order to generate a positive outgrowth,” he said. Afiq also said other local authorities should organise a similar event to realise Sarawak’s smart community aspiration. Fir also believed the OKSHe event would benefit the society in the use of digital technology. DBKU is the first local authority in Sarawak to have its own radio station, which comes with a localised tagline “Kuss…Semenget”. It can be accessed at https://dbku.sarawak.gov.my or download the app via Google Play.